Our latest project for these wonderful clients includes a low maintenance deck and custom pergola. 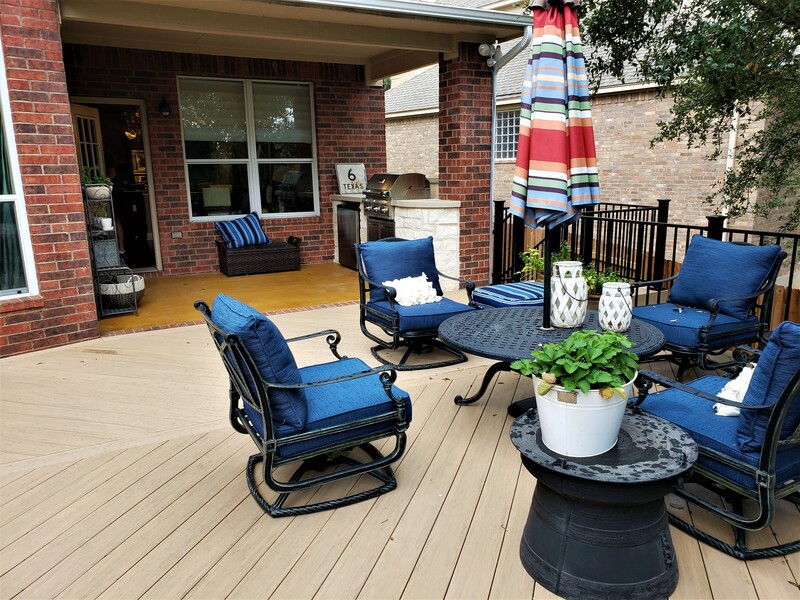 In our business we meet many wonderful people from all walks of life, different tastes and varied ideas about what they want from their outdoor living space addition. It gives us great pride and speaks volumes to have the opportunity to work with a client not just once, but twice. 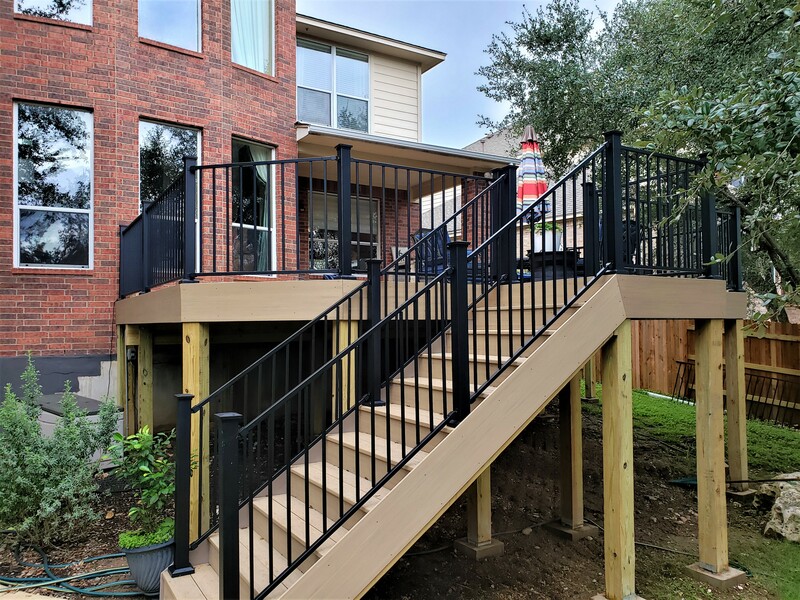 As is the case with many of our clients that become “repeat” customers our recent project in SW Austin was completed for homeowners who moved and brought us, their builder, with them. 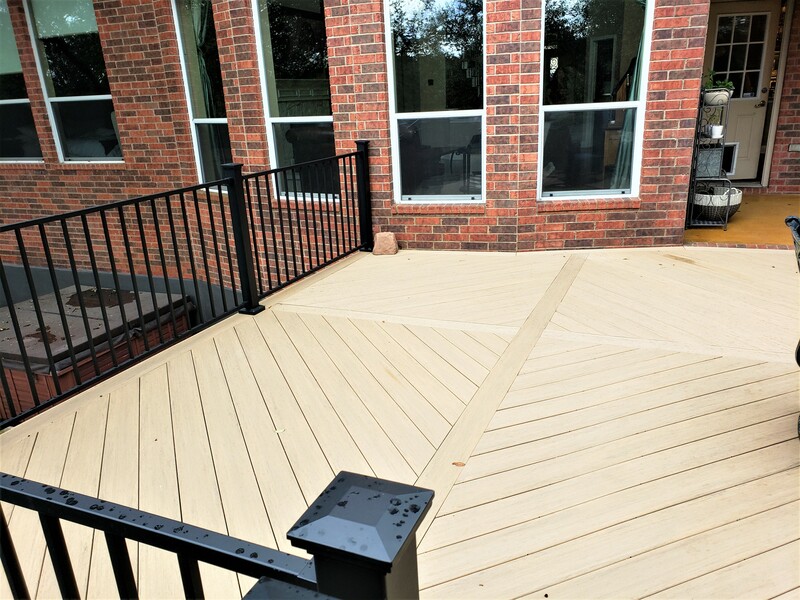 We originally met with these homeowners some five years back when we built a beautiful deck on their previous home. 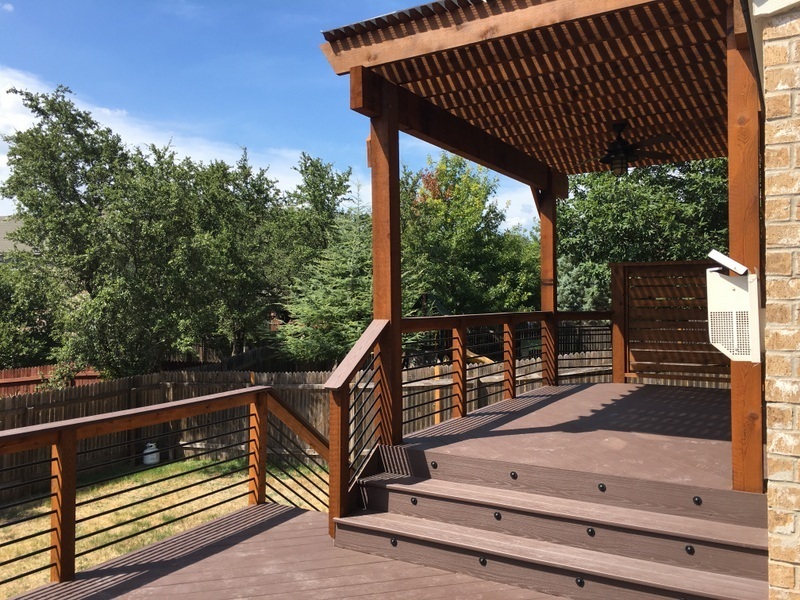 Their satisfaction in the deck we built for them led them to contact Archadeck of Austin again, upon moving to a new home, when they were ready to enhance their outdoor living space. 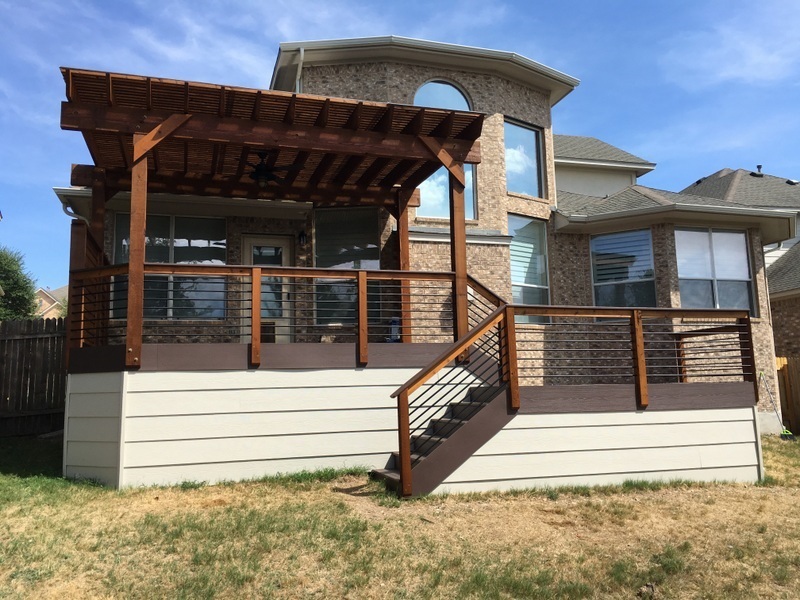 Their new deck was built in beautiful, low maintenance PVC AZEK decking in Kona from the Harvest Collection with a custom horizontal railing system. 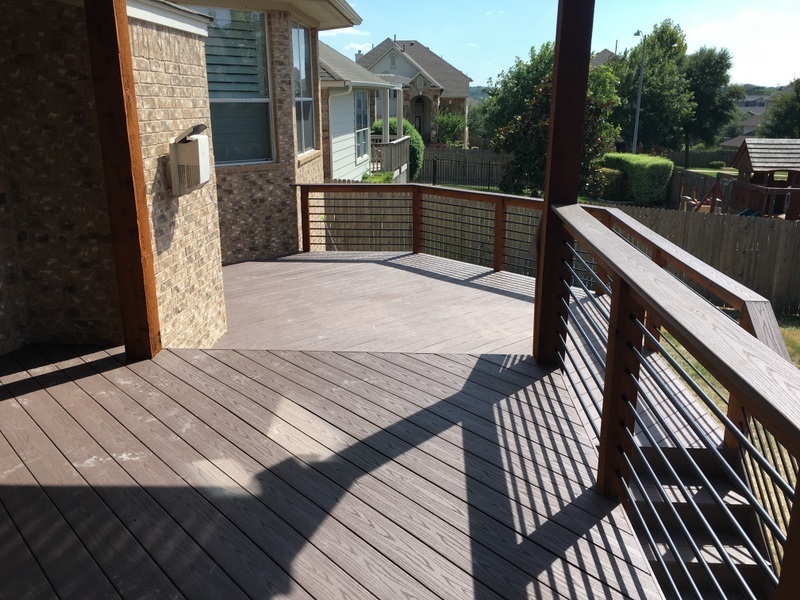 Whereas the norm in deck railing is often the use of vertical railing, Archadeck of Austin turned up the urban appeal of the space and opened up the views by utilizing a horizontal railing design. 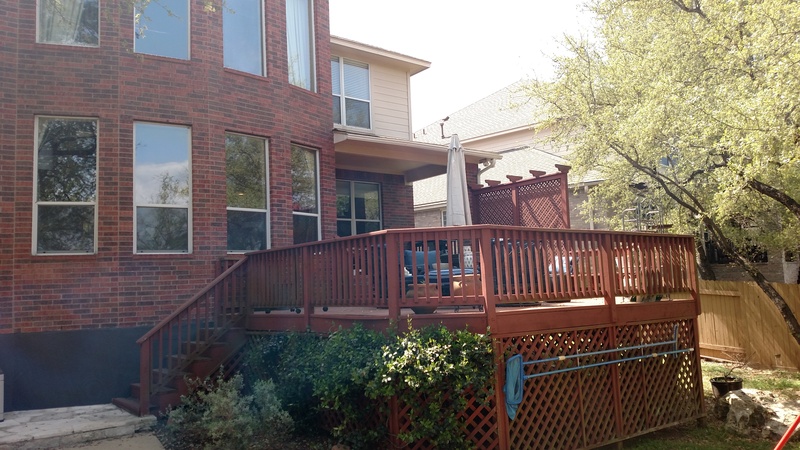 The new deck also features a custom cedar freestanding pergola adding a shady spot and loads of charm to the space! To the farthest left side of the deck we also designed and installed a cedar privacy wall that helps subdue the neighbors view into the backyard and vice versa. All the framework of the pergola, and the deck posts are finished in rustic cedar adding warmth and richness to the entire space. 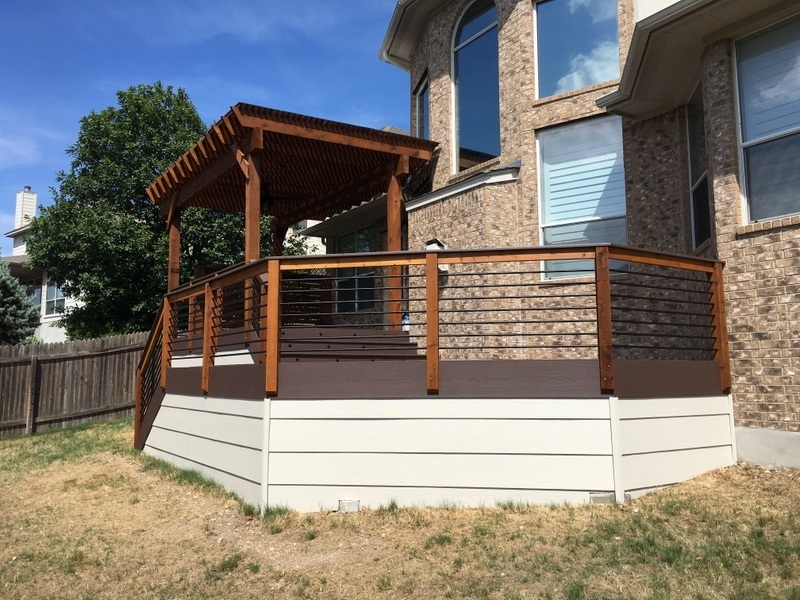 Deck lighting by TimberTech and HardiePlank siding skirting finish off the perfection of this backyard space to a “T” and much to the happiness of the homeowner. 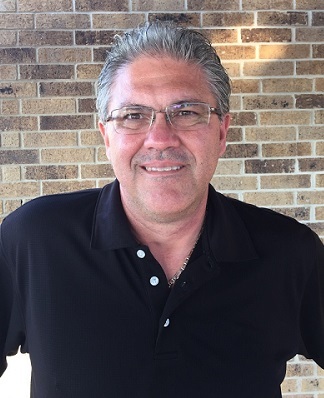 We are elated to have the opportunity to work with repeat customers and look forward to evolving with our customers as their lifestyles and outdoor living needs change. 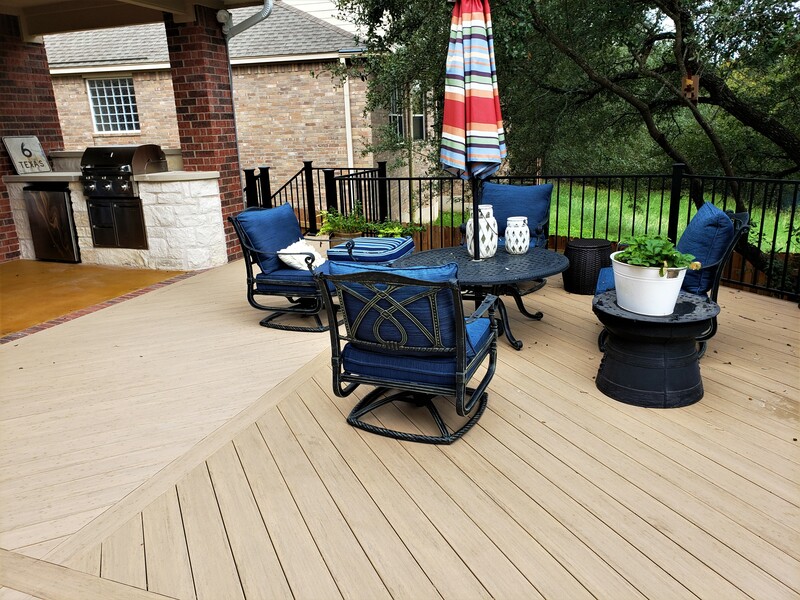 Contact Archadeck of Austin today to learn more about why we are the outdoor living structure company you keep. You can reach us at (515) 259-8282 or via email at jim.odom@archadeck.net.